Ian Fleming's iconic character James Bond wore a Rolex Submariner diver's watch during the 1960's Bond films, as did George Lazenby in his one-time portrayal of Bond in the earlier portions of 1969's On Her Majesty's Secret Service. 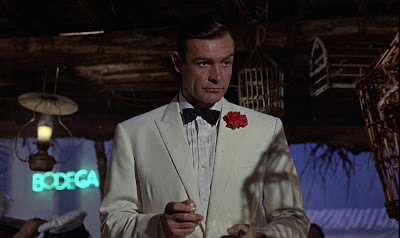 But when Lazenby/Bond went undercover as genealogist Sir Hilary Bray and infiltrated criminal madman Ernst Stavo Blofeld's Swiss clinic, he wore another Rolex (seen in the above photo). 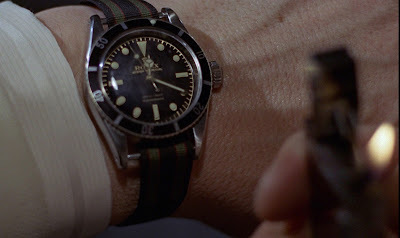 Hannah Ellis-Peterson at the British newspaper the Guardian offers a piece on the sale of the special Rolex watch worn by George Lazenby as Bond. James Bond might be best known for his suave attire and explosive gadgets, but for his creator Ian Fleming “a gentleman’s choice of timepiece says as much about him as does his Savile Row suit”. And now, one of the watches that formed a pivotal part of 007’s look almost five decades ago is to be auctioned in Monte Carlo. ... Though Bond has sported an Omega in recent outings, in his original books, Fleming was very particular about the watch his spy should wear. 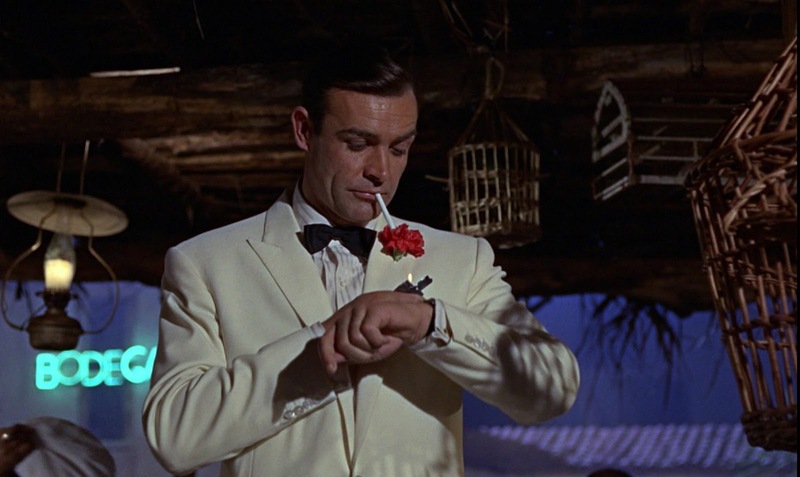 Writing in his 1953 novel, Casino Royale, Fleming specified that 007 “could not just wear a watch. It had to be a Rolex”.